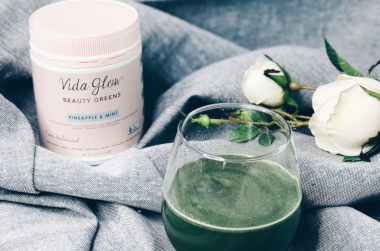 I&apos;m 26 and starting to see fine lines and wrinkles on my forehead, after doing some research I decided to buy the Vida Glow Marine Collagen. I&apos;ve been taking one a day for a few weeks now and I am OBSESSED with the results. My skin is bright, clear, plump and while the fine lines and wrinkles are still there, they don&apos;t look as obvious as before. It&apos;s definitely not tasteless, there&apos;s always that slight fishy taste (similar to taking a fish oil tablet) but it&apos;s not bad, I find mixing it with juice minimises the taste the most. I&apos;m onto my second tub of this powder - I think the taste is good, and it mixes well with water quite easily. I noticed an improvement in my skin health, and it&apos;s great to have the added protein in my routine. The tub is also really large compared to other brands - really good cost per use I think! I will keep purchasing for sure.